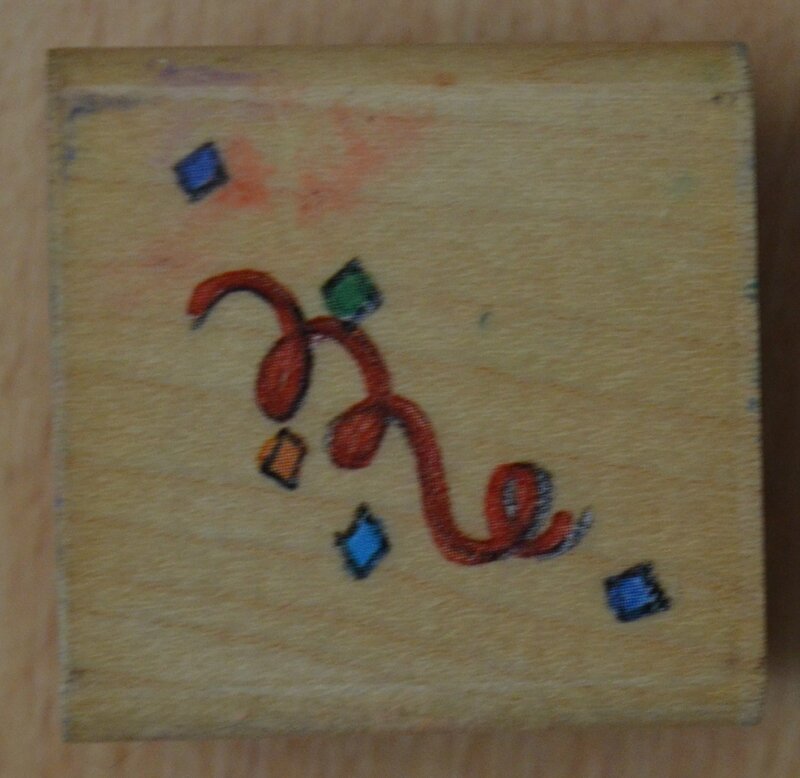 This is a wood mounted rubber stamp from Me and My Big Ideas featuring confetti! It measures slightly over 1.5" x 1.5". It is in good condition and has dry ink. The stamp has shifted on the wood mount.